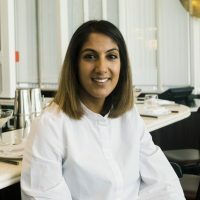 Shabnum Stumpf is a global marketing and communications expert in the F&B industry who has been connecting restaurant operators with their guests through IT, some science and a lot of smiling. In her various marketing & operational roles for Zuma & Roka Restaurants, she drew on her diverse experience in Direct Marketing, sales & new business development to create a platform for the Azumi Group to develop their database management, reception & reservation booking processes, operational reporting and business trend analysis, seize new business opportunities and interact with the guest. Her innovative and particular ability to harness the power of social networks to increase the bottom line has made her a sought after marketing expert. Equipped with 15 years of experience in building sales, developing brands and conducting pre-openings, Shab uses her international skill base to drive business, set up successful operations and empower F&B teams with a solid working strategy and plan to increase clientele. Her venture into the hospitality industry began in 2003 when she founded Gusto, an Italian delicatessen and fresh pasta manufacturing operation selling to the likes of Gordon Ramsay, Giorgio Locatelli & Marco Pierre White. It was through her experiences in developing her own F&B outlet that she became inspired to become more involved in hospitality. With her wealth of experience in overseeing operations in the corporate world as well as hospitality and events, Shab is the CEO of her F&B Consultancy, PSBars and overseas all Strategic Direction and Marketing Plans for other F&B operations in the Middle East.